Professor Dennis is the Head of the School of Psychology. He holds qualifications in computer science, mathematics and psychology from the University of Queensland and his research expertise is in human memory and language processing. He is also involved in information retrieval and machine learning research. My research activity spans human memory and language, human computer interaction and educational research. 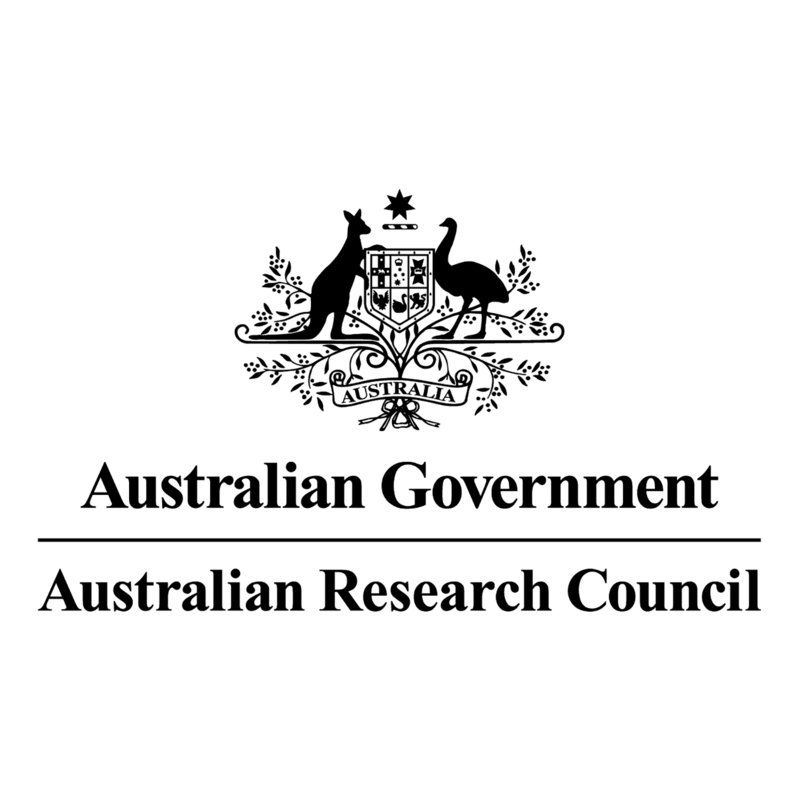 I have held grants from various agencies including the National Science Foundation, the Australian Research Council, the Institutes of Educational Sciences, the Air Force Office of Scientific Research, the Defense Science and Technology Organization and Defense Research and Development Canada. I have peer reviewed journal publications in outlets including the Proceedings of the National Academy of Sciences, Psychological Review, Behavioral and Brain Sciences, the Journal of Cognitive Neuroscience, the Journal of the American Society for Information Science and Technology and the Journal of Memory and Language. Other indicators of impact include two patents - one on sentence representation and one on dynamic text visualization. Dennis & Humphreys (2001) was chosen by the Australian Psychological Society as one of the 12 most influential contributions by Australian psychologists between 1999-2002 and the Handles text visualization suite on which I have been working for Defense Research and Development Canada was deployed in Afghanistan by the Canadian psychological operations unit. My research focuses on the application of behavioral, computational and neuroscientific methods to the study of human memory and language. I am currently building a unified model of episodic memory tasks including recognition, associative recognition, source memory, cued recall, serial recall and free recall. I also continue to work on an associative based model of sentence processing, with the current emphasis on understanding vocabulary development. A line of work that I am currently engaged in and which I think has great potential involves the deployment of smart phones for continuous data collection over the long term (months). In this work, we have developed an Android app that collects images, audio, GPS, accelerometry, wireless, light and a variety of other data, as subjects wear the phone around their necks. Each night the subjects divide their data into contexts and tag those contexts. The research is a collaboration with Mikhail Belkin in computer science and aims to address questions in memory and in machine learning. The technology allows us to investigate the nature of real world context and memory processes that cannot be addressed through laboratory based research alone. In addition, we have been developing algorithms that predict where people will perceive context boundaries as well as the tags that they will assign to these contexts. We believe that big data approaches such as ours provide unique insights that are more relevant to the memory processes in which people typically engage and which are can be more easily translated into useful applications. I have developed and taught a range of courses at the undergraduate, masters and graduate levels including memory and reasoning, memory and cognition, human factors, the psychology of language, judgment and decision making, models of memory and language and introduction to event related potentials. I have taught memory and cognition to undergraduate classes of over 100 students. The technical nature of the material, the class size, the fact that many of the students are not psychology majors makes maintaining student engagement particularly challenging. I engage in a continual process of innovation to ensure that my students leave with a good grounding in the science of memory. I use many interactive exercises including experiments and in class group work on false memory, autobiographical memory and other issues. I integrate current events into the class room discussion – in particular the areas in which memory intersects with the legal system in cases of false eyewitness testimony and recovered memory issues and I attempt to use what we know about human memory to help students learn and to understand their own learning processes. In recent years, the critical role of testing on memory performance has become increasingly clear and I use a clearly articulated set of learning objectives, on-line exercises and discussion forums to help students optimize the time they spend studying. Used intelligently, technology can be an effective adjunct to the classroom experience and I am very interested in pushing the boundaries of educational technology. For instance, in my psychology of language class students program online chat bots to simulate the persona of a character that they create. Teams compete to win the end-of-term Turing test for the most realistic and most interesting bots. In a final assignment, they are required to use what they have learned during the class to compare and contrast the language ability of chat bots and those of humans. While there are limits to the reach of technology, there can be little doubt that the use of technology has the potential to be disruptive to current models of instruction provision. One bottleneck to providing mass online courses is assessment. Multiple choice style questions are easily implemented, but are not effective means for assessing or developing information organization. While at the the University of Colorado, I was funded by an Institutes of Educational Sciences grant to develop automated essay assessment technology for deployment in secondary schools. In addition, I am currently involved in work to develop automated essay assessments of evolution knowledge. The technology is maturing and we have been able to achieve correlations of 96% with human markers when identifying key evolutionary concepts in students' writing. I would liek to see this work expanded to develop psychology specific assessment technologies. During my time as a faculty member at Adelaide and Ohio State, I have served on a number of departmental committees, search committees etc. During my tenure at the University of Adelaide, I was the chair of the research committee. In 2009 and 2010, I was the Director of Cognitive Science Center at Ohio State University. Twenty four departments drawn from eight colleges are affiliated with the Center, the goal of which is to facilitate interdisciplinary links across the university. While I was director, I administered the Center's small grants program, administered the graduate summer scholarship program, oversaw the Center's shared event related potential and eye tracking assets, reworked the financial structure to improve transparency and promote sustainability as well as organizing multiple seminar series. Currently, I am the Head of the School of Psychology at the University of Newcastle, where I am responsible for the teaching, research and engagement activities of the School. © Cambridge University Press 2007. All theories are false (Popper, 1959). So in one sense evaluating theories is a straightforward matter. However, some theories are more false than others. Furthermore, some theories have characteristics that tend to promote the advance of scientific knowledge. In this chapter, we examine what some of those characteristics are and how one goes about the process of identifying and building useful theories. A theory is a concise statement about how we believe the world to be. Theories organize observations of the world and allow researchers to make predictions about what will happen in the future under certain conditions. Science is about the testing of theories, and the data that we collect as scientists should either implicitly or explicitly bear on theory. There is, however, a great difference between theories in the hard sciences and theories in the soft sciences in their formal rigor. Formal theories are well established and incredibly successful in physics, but they play a lesser role in biology, and even less in psychology, where theories are often stated in verbal form. This has certainly been true historically, but some scientists, especially physicists, as well as laypeople, construe this fact to mean that formal theories are restricted to the hard sciences, particularly physics, while formalization is unattainable in the soft sciences. There is absolutely no reason to think so. Indeed, this is a pernicious idea that would permanently relegate psychology to second-class status. The aim of this project was to implement a just-in-time hints help system into a real time strategy (RTS) computer game that would deliver information to the user at the time that it would be of the most benefit. The goal of this help system is to improve the user&apos;s learning in terms of their rate of learning, retention and avoidance of stagnation. The first stage of this project was implementing a computer game to incorporate four different types of skill that the user must acquire, namely motor, perceptual, declarative knowledge and strategic. Subsequently, the just-in-time hints help system was incorporated into the game to assess the user&apos;s knowledge and deliver hints accordingly. The final stage of the project was to test the effectiveness of this help system by conducting two phases of testing. The goal of this testing was to demonstrate an increase in the user&apos;s assessment of the helpfulness of the system from phase one to phase two. The results of this testing showed that there was no significant difference in the user&apos;s responses in the two phases. However, when the results were analysed with respect to several categories of hints that were identified, it became apparent that patterns in the data were beginning to emerge. The conclusions of the project were that further testing with a larger sample size would be required to provide more reliable results and that factors such as the user&apos;s skill level and different types of goals should be taken into account. © 2003 by Springer Science+Business Media New York. © 2018 Elsevier Inc. A robust finding in recognition memory is that performance declines monotonically across test trials. Despite the prevalence of this decline, there is a lack of consensus on the mechanism responsible. Three hypotheses have been put forward: (1) interference is caused by learning of test items (2) the test items cause a shift in the context representation used to cue memory and (3) participants change their speed-accuracy thresholds through the course of testing. We implemented all three possibilities in a combined model of recognition memory and decision making, which inherits the memory retrieval elements of the Osth and Dennis (2015) model and uses the diffusion decision model (DDM: Ratcliff, 1978) to generate choice and response times. We applied the model to four datasets that represent three challenges, the findings that: (1) the number of test items plays a larger role in determining performance than the number of studied items, (2) performance decreases less for strong items than weak items in pure lists but not in mixed lists, and (3) lexical decision trials interspersed between recognition test trials do not increase the rate at which performance declines. Analysis of the model&apos;s parameter estimates suggests that item interference plays a weak role in explaining the effects of recognition testing, while context drift plays a very large role. These results are consistent with prior work showing a weak role for item noise in recognition memory and that retrieval is a strong cause of context change in episodic memory. © 2018 Taylor & Francis Group, LLC In an empirical user study, we assessed two approaches to ranking the results from a keyword search using semantic contextual match based on Latent Semantic Analysis. These techniques involved searches initiated from words found in a seed document within a corpus. The first approach used the sentence around the search query in the document as context while the second used the entire document. With a corpus of 20,000 documents and a small proportion of relevant documents (<0.1%), both techniques outperformed a conventional keyword search on a recall-based information retrieval (IR) task. These context-based techniques were associated with a reduction in the number of searches conducted, an increase in users¿ precision and, to a lesser extent, an increase in recall. This improvement was strongest when the ranking was based on document, rather than sentence, context. Individuals were more effective on the IR task when the lists returned by the techniques were ranked better. User performance on the task also correlated with achievement on a generalized IQ test but not on a linguistic ability test. © 2016 Elsevier Inc. The mirror effect ¿ a phenomenon whereby a manipulation produces opposite effects on hit and false alarm rates ¿ is benchmark regularity of recognition memory. A likelihood ratio decision process, basing recognition on the relative likelihood that a stimulus is a target or a lure, naturally predicts the mirror effect, and so has been widely adopted in quantitative models of recognition memory. Glanzer, Hilford, and Maloney (2009) demonstrated that likelihood ratio models, assuming Gaussian memory strength, are also capable of explaining regularities observed in receiver-operating characteristics (ROCs), such as greater target than lure variance. Despite its central place in theorising about recognition memory, however, this class of models has not been tested using response time (RT) distributions. In this article, we develop a linear approximation to the likelihood ratio transformation, which we show predicts the same regularities as the exact transformation. This development enabled us to develop a tractable model of recognition-memory RT based on the diffusion decision model (DDM), with inputs (drift rates) provided by an approximate likelihood ratio transformation. We compared this ¿LR-DDM¿ to a standard DDM where all targets and lures receive their own drift rate parameters. Both were implemented as hierarchical Bayesian models and applied to four datasets. Model selection taking into account parsimony favored the LR-DDM, which requires fewer parameters than the standard DDM but still fits the data well. These results support log-likelihood based models as providing an elegant explanation of the regularities of recognition memory, not only in terms of choices made but also in terms of the times it takes to make them. Copyright © 2016 Cognitive Science Society, Inc. Context is an important construct in many domains of cognition, including learning, memory, and emotion. We used dynamical systems methods to demonstrate the episodic nature of experience by showing a natural separation between the scales over which within-context and between-context relationships operate. To do this, we represented an individual&apos;s emails extending over about 5¿years in a high-dimensional semantic space and computed the dimensionalities of the subspaces occupied by these emails. Personal discourse has a two-scaled geometry with smaller within-context dimensionalities than between-context dimensionalities. Prior studies have shown that reading experience (Doxas, Dennis, & Oliver, 2010) and visual experience (Sreekumar, Dennis, Doxas, Zhuang, & Belkin, 2014) have a similar two-scaled structure. Furthermore, the recurrence plot of the emails revealed that experience is predictable and hierarchical, supporting the constructs of some influential theories of memory. The results demonstrate that experience is not scale-free and provide an important target for accounts of how experience shapes cognition. © 2017 Elsevier Inc. The relative amount of variability in memory strength for targets vs. lures in recognition memory is commonly measured using the receiver operating characteristic (ROC) procedure, in which participants are given either a bias manipulation or are instructed to give confidence ratings to probe items. A near universal finding is that targets have higher variability than lures. Ratcliff and Starns (2009) questioned the conclusions of the ROC procedure by demonstrating that accounting for decision noise within a response time model yields different conclusions about relative memory evidence than the ROC procedure yields. In an attempt to better understand the source of the discrepancy, we applied models that include different sources of decision noise, including both the diffusion decision model (DDM) and the linear ballistic accumulator (LBA) model, which either include or lack within-trial noise in evidence accumulation, and compared their estimates of the ratio of standard deviations to those from ROC analysis. Each method produced dramatically different estimates of the relative variability of target items, with the LBA even indicating equal variance in some cases. This stands in contrast to prior work suggesting that the DDM and LBA produce largely similar estimates of relevant model parameters, such as drift rate, boundary separation, and nondecision time. Parameter validation using data from Starns&apos;s (2014) numerosity discrimination data demonstrated that only the DDM was able to correctly reproduce the evidence ratios in the data. These results suggest that the DDM may be providing a more accurate account of lure-to-target variability evidence ratios in recognition memory. © 2015 American Psychological Association. A powerful theoretical framework for exploring recognition memory is the global matching framework, in which a cue&apos;s memory strength reflects the similarity of the retrieval cues being matched against the contents of memory simultaneously. Contributions at retrieval can be categorized as matches and mismatches to the item and context cues, including the self match (match on item and context), item noise (match on context, mismatch on item), context noise (match on item, mismatch on context), and background noise (mismatch on item and context). We present a model that directly parameterizes the matches and mismatches to the item and context cues, which enables estimation of the magnitude of each interference contribution (item noise, context noise, and background noise). The model was fit within a hierarchical Bayesian framework to 10 recognition memory datasets that use manipulations of strength, list length, list strength, word frequency, study-test delay, and stimulus class in item and associative recognition. Estimates of the model parameters revealed at most a small contribution of item noise that varies by stimulus class, with virtually no item noise for single words and scenes. Despite the unpopularity of background noise in recognition memory models, background noise estimates dominated at retrieval across nearly all stimulus classes with the exception of high frequency words, which exhibited equivalent levels of context noise and background noise. These parameter estimates suggest that the majority of interference in recognition memory stems from experiences acquired before the learning episode. © 2015 American Psychological Association. Henson (1996) provided a number of demonstrations of error patterns in serial recall that contradict chaining models. Chaining models predict that when participants erroneously recall an item too early, recall should proceed from the point of error. In contradiction to such a prediction, Henson found evidence for a fill-in effect: participants were much more likely to revisit an erroneously skipped item than to continue onward to later list items. However, recent reanalyses of serial recall data sets have found evidence for the opposite pattern in serial recall experiments that use open sets of items. We tested the hypothesis that open sets of items produce fill-in effects by comparing serial recall with an open set and a closed set, and when participants were allowed and prohibited from skipping over responses, and comparing serial recall with a reconstruction of order task. Fill-in effects were observed in all cases except when participants were not encouraged to skip over responses. Subsequent analyses indicated that when omission rates were equated, a fill-in effect was observed for all conditions when lists contained no omissions. These results suggest that high omission rates in open-set designs obscure a fill-in effect and further sound a cautionary note about interpreting cases in which recall continues in the forward direction after a skipped response. © 2015, National Academy of Sciences. All rights reserved. Memory stretches over a lifetime. In controlled laboratory settings, the hippocampus and other medial temporal lobe brain structures have been shown to represent space and time on the scale of meters and seconds. It remains unclear whether the hippocampus also represents space and time over the longer scales necessary for human episodic memory. We recorded neural activity while participants relived their own experiences, cued by photographs taken with a custom lifelogging device. We found that the left anterior hippocampus represents space and time for a month of remembered events occurring over distances of up to 30 km. Although previous studies have identified similar drifts in representational similarity across space or time over the relatively brief time scales (seconds to minutes) that characterize individual episodic memories, our results provide compelling evidence that a similar pattern of spatiotemporal organization also exists for organizing distinct memories that are distant in space and time. These results further support the emerging view that the anterior, as opposed to posterior, hippocampus integrates distinct experiences, thereby providing a scaffold for encoding and retrieval of autobiographical memories on the scale of our lives. A correlation dimension analysis of people&apos;s visual experiential streams captured by a smartphone shows that visual experience is two-scaled with a smaller dimension at shorter length scales than at longer length scales. The bend between the two scales is a phase transition point where the lower scale primarily captures relationships within the same context and the higher dimensional scale captures relationships between different contexts. The dimensionality estimates are confirmed using Takens&apos; delay embedding procedure on the image stream, while the randomly permuted stream is shown to be space-filling thereby establishing that the two-scaled structure is a consequence of the dynamics. We note that the structure of visual experience closely resembles the structure of another domain of experience: natural language discourse. The emergence of an identical structure across different domains of human experience suggests that the two-scaled geometry reflects a general organizational principle. © 2014 Sreekumar et al. © 2014 The Experimental Psychology Society. In recognition memory, increasing the strength of studied items does not reduce performance on other items, an effect dubbed the null list strength effect (LSE). While this finding has been replicated many times, it has rarely been tested using stimuli other than single words. Kinnell and Dennis (2012) recently tested for the presence of list length effects using non-word stimulus classes while controlling for the confounds that are present in list length designs. Small list length effects were found for fractal and face images. We adopted the same paradigm and stimuli used by Kinnell and Dennis to test whether these stimuli would be susceptible to list strength effects as well. We found significant LSEs for fractal images, but null LSEs for face images and natural scene photographs. Stimuli other than words do appear to be susceptible to list strength effects, but these effects are small and restricted to particular stimulus classes, as is the case in list length designs. Models of memory may be able to address differences between these stimulus classes by attributing differences in representational overlap between the stimulus classes. Following study, participants received 2 tests. The 1st was a recognition test; the 2nd was designed to tap recollection. The objective was to examine performance on Test 1 conditional on Test 2 performance. In Experiment 1, contrary to process dissociation assumptions, exclusion errors better predicted subsequent recollection than did inclusion errors. In Experiments 2 and 3, with alternate questions posed on Test 2, words having high estimates of recollection with one question had high estimates of familiarity with the other question. Results supported the following: (a) the 2-test procedure has considerable potential for elucidating the relationship between recollection and familiarity; (b) there is substantial evidence for dependency between such processes when estimates are obtained using the process dissociation and remember-know procedures; and (c) order of information access appears to depend on the question posed to the memory system. Event-related potentials (ERPs) were recorded while subjects made old/new recognition judgments on new unstudied words and old words which had been presented at study either once (&apos;weak&apos;) or three times (&apos;strong&apos;). The probability of an &apos;old&apos; response was significantly higher for strong than weak words and significantly higher for weak than new words. Comparisons were made initially between ERPs to new, weak and strong words, and subsequently between ERPs associated with six strength-by-response conditions. The N400 component was found to be modulated by memory trace strength in a graded manner. Its amplitude was most negative in new word ERPs and most positive in strong word ERPs. This &apos;N400 strength effect&apos; was largest at the left parietal electrode (in ear-referenced ERPs). The amplitude of the late positive complex (LPC) effect was sensitive to decision accuracy (and perhaps confidence). Its amplitude was larger in ERPs evoked by words attracting correct versus incorrect recognition decisions. The LPC effect had a left>right, centro-parietal scalp topography (in ear-referenced ERPs). Hence, whereas, the majority of previous ERP studies of episodic recognition have interpreted results from the perspective of dual-process models, we provide alternative interpretations of N400 and LPC old/new effects in terms of memory strength and decisional factor(s). © 2002 Elsevier Science Ltd. All rights reserved. This article compares search effectiveness when using query-based Internet search (via the Google search engine), directory-based search (via Yahoo), and phrase-based query reformulation-assisted search (via the Hyperindex browser) by means of a controlled, user-based experimental study. The focus was to evaluate aspects of the search process. Cognitive load was measured using a secondary digit-monitoring task to quantify the effort of the user in various search states; independent relevance judgements were employed to gauge the quality of the documents accessed during the search process and time was monitored as a function of search state. Results indicated directory-based search does not offer increased relevance over the query-based search (with or without query formulation assistance), and also takes longer. Query reformulation does significantly improve the relevance of the documents through which the user must trawl, particularly when the formulation of query terms is more difficult. However, the improvement in document relevance comes at the cost of increased search time, although this difference is quite small when the search is self-terminated. In addition, the advantage of the query reformulation seems to occur as a consequence of providing more discriminating terms rather than by increasing the length of queries. Item noise models of recognition assert that interference at retrieval is generated by the words from the study list. Context noise models of recognition assert that interference at retrieval is generated by the contexts in which the test word has appeared. The authors introduce the bind cue decide model of episodic memory, a Bayesian context noise model, and demonstrate how it can account for data from the item noise and dual-processing approaches to recognition memory. From the item noise perspective, list strength and list length effects, the mirror effect for word frequency and concreteness, and the effects of the similarity of other words in a list are considered. From the dual-processing perspective, process dissociation data on the effects of length, temporal separation of lists, strength, and diagnosticity of context are examined. The authors conclude that the context noise approach to recognition is a viable alternative to existing approaches. This article compares search effectiveness when using query-based Internet search (via the Google search engine), directory-based search (via Yahoo) and phrasebased query, reformulation assisted search (via the Hyperindex browser) by means of a controlled, userbased experimental study. The focus was to evaluate aspects of the search process. Cognitive load was measured using a secondary digit-monitoring task to quantify the effort of the user in various search states; independent relevance judgements were employed to gauge the quality of the documents accessed during the search process. Time was monitored in various search states. Results indicated the directory-based search does not offer increased relevance over the query-based search (with or without query formulation assistance), and also takes longer. Query reformulation does significantly improve the relevance of the documents through which the user must trawl versus standard query-based internet search. However, the improvement in document relevance comes at the cost of increased search time and increased cognitive load. Current theoretical thinking about dual processes in recognition relies heavily on the measurement operations embodied within the process dissociation procedure. We critically evaluate the ability of this procedure to support this theoretical enterprise. We show that there are alternative processes that would produce a rough invariance in familiarity (a key prediction of the dual-processing approach) and that the process dissociation procedure does not have the power to differentiate between these alternative possibilities. We also show that attempts to relate parameters estimated by the process dissociation procedure to subjective reports (remember-know judgments) cannot differentiate between alternative dual-processing models and that there are problems with some of the historical evidence and with obtaining converging evidence. Our conclusion is that more specific theories incorporating ideas about representation and process are required. Numerically small disciplines can be jeopardized by geographic difficulties, if student populations at universities are small and distances between them large. This problem could be addressed, if teaching resources could be shared among several universities and students in several locations could be taught simultaneously. We present the results of a trial in simultaneous Internet and videoconferencing delivery of an introductory cognitive science laboratory. The trial relied on off-the-shelf software and hardware. Students found the delivery nearly as effective as a locally run laboratory, despite a noticeable difference in the level of interactivity between the remote and other, local laboratory classes. We discuss possible further improvements in teaching efficiency and efficacy. Starting from Marr&apos;s ideas about levels of explanation, a theory of the data structures and access processes in human memory is demonstrated on 10 tasks. Functional characteristics of human memory are captured implementation-independently. Our theory generates a multidimensional task classification subsuming existing classifications such as the distinction between tasks that are implicit versus explicit, data driven versus conceptually driven, and simple associative (two-way bindings) versus higher order (threeway bindings), providing a broad basis for new experiments. The formal language clarifies the binding problem in episodic memory, the role of input pathways in both episodic and semantic (lexical) memory, the importance of the input set in episodic memory, and the ubiquitous calculation of an intersection in theories of episodic and lexical access. © 1994, Cambridge University Press. All rights reserved. This grant provides maintenance for the Handles document search and visualization interface. Funding body: Defence Research and Development Canada. A new imaging study by Prof. Simon Dennis and colleagues uncovers the representation of time and space in the human brain.